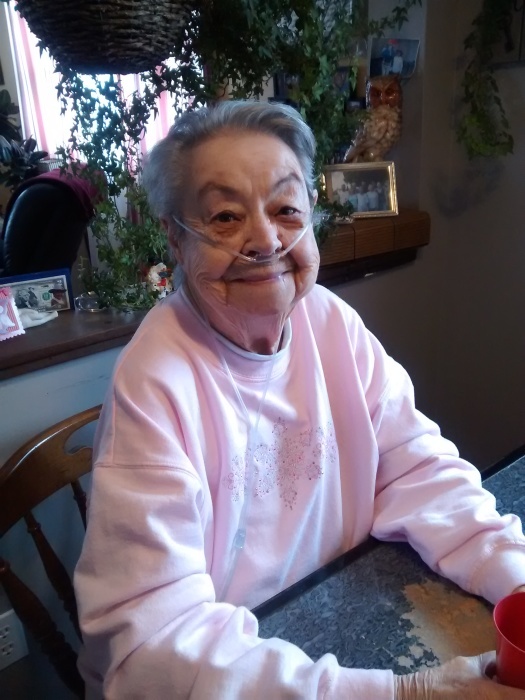 Mada Paugels, 77, of Mancelona Michigan passed peacefully in her home on March 24, 2019. Mada's last days were spent surrounded by loving family and friends. Mada was born in 1941 to Essie May and Fred McCoy Cunningham. She married Lyle Paugels of Mancelona Michigan on 8-13-1977 and resided in Mancelona for 47 years. She was employed at the Suma Harris plant and Mancelona Moose Lodge. Mada enjoyed reading and playing Solitaire. Mada is preceded in death by both of her parents, her loving husband Lyle, her siblings Bill Cunningham and Mildred Cline ( Cunningham) and grandson Phil Kiel. Mada is survived by Candance ( Harold) Kiel of Muskegon Michigan, Bud (Anissa) Fuson of West Plains, MO., Larry Fuson of Harrison Michigan, Walter (Heather) Fuson of Mancelona Michigan and Mary Ellen (Brandon) Schauer of Mancelona Michigan.Mada was blessed to be loved by 16 grandchildren and 20 greatgrandchildren. Mada is also survived by lifetime friends Jerry and Kathy Schram and John and Betty Trumble. A visitation with the family will be held at the Mancelona Chapel of Mortensen Funeral Homes, from 11-1pm on Thursday, March 28th, 2019 with Funeral to follow.